Experience Hypnotherapy Cheltenham is a Hypnotherapy Practice based in Cheltenham. 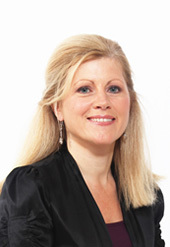 Helen Herron BSc (Hons) Psychology is a qualified Hypnotherapist registered with the General Hypnotherapy Register (GHR), conforming to the Code of Ethics and Practice set out by the General Hypnotherapy Standards Council (GHSC). Helen Herron is also a Graduate Member of the British Psychological Society (MBPsS) and a member of the BPS Division of Counselling Psychology. Hypnotherapy can also help with Panic Attacks, Insomnia, Skin Conditions and Unwanted Behaviour including Nail biting, Alcohol Use and Enuresis (Bed-wetting). These problems and many other conditions are often caused by our behaviour patterns and negative thought processes that affect our ability to cope. Hypnotherapy is effective by helping us to change old patterns of behaviour with new positive thoughts and actions to make beneficial changes to our lives. For more information about Hypnosis and Hypnotherapy see Experience Hypnotherapy in Cheltenham Testimonials or Experience Hypnotherapy Cheltenham FAQ's. Hypnosis is a natural state of consciousness that we experience throughout the day similar to daydreaming or when we are focused on an activity. Hypnosis is completely safe and you can return to full consciousness at any time. 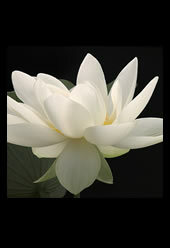 Experience Hypnotherapy Cheltenham FAQ's provide more information on Hypnosis and Hypnotherapy.